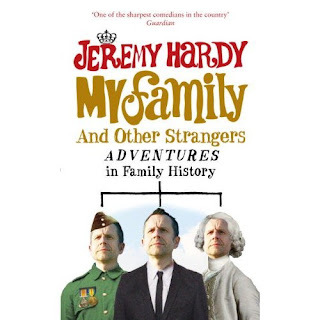 Just a small blog salute to pay tribute to two great socialist thinkers and activists - the outstanding sociologist Colin Barker (1939-2019) and the legendary comedian Jeremy Hardy (1961-2019), both of whom sadly died in the last few days. Both in their own way made an immense contribution to the British left - helping educate and inspire thousands of socialists. There rightly have been and will be no doubt very many tributes to both online and in print, so this will just be some personal comments. I don't know how well they both knew each other personally (I never knew Hardy on a personal level and only knew Colin Barker a little bit) but I am sure they would have known of each other - as both were regular features for a long period at the annual Marxism festival, organised by the Socialist Workers' Party (SWP). 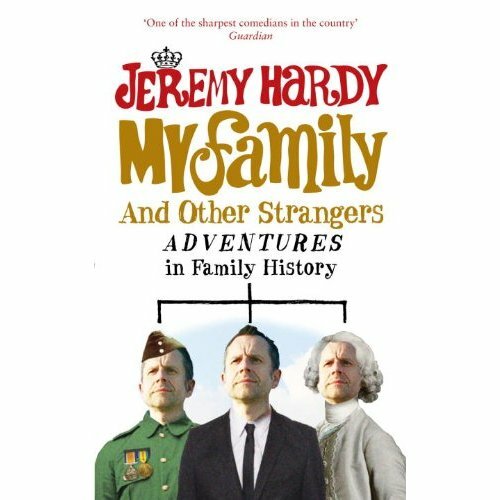 Indeed, I think I first saw Jeremy Hardy when I was a student at Marxism sometime in the late 1990s or early 2000s, and I remember being so excited that a comedy figure with such a pedigree as Hardy was performing at Marxism that I sat right near the front - whereby, I learnt the important lesson about the risks of sitting right near the front at stand up comedy gigs. I can't really recall the story accurately right now, but essentially Hardy told a joke that made me laugh so hard - and unexpectedly suddenly - that I think I may have spilled most of the beer I was drinking all over me or something equally embarrassing. In any case as I was sitting more or less right in front of him, it kind of distracted him from his routine for a second, and he kind of paused for a second and looked down on me with a kind, pitying, benevolent smile on his face... (On the related risks of sitting near the front for stand up gigs, I once sat right in front of Sarfraz Manzoor during his show about being a Bruce Springsteen fan, and he cracked a joke that it took me about ten seconds later than everyone else to work out, which he briefly publicly congratulated me on when I finally got it ... anyway, I digress). What makes a revolution possible is the energy, imagination and boldness of the working class. But victory comes only if, within that working class, there is a revolutionary organisation fighting for the right to lead, to provide theoretical and practical direction to the movement. The ruling class organises its forces, selects and forms its leaders, according to its principles; so do the reformists. Only idiots suppose that revolutionaries must not do likewise. 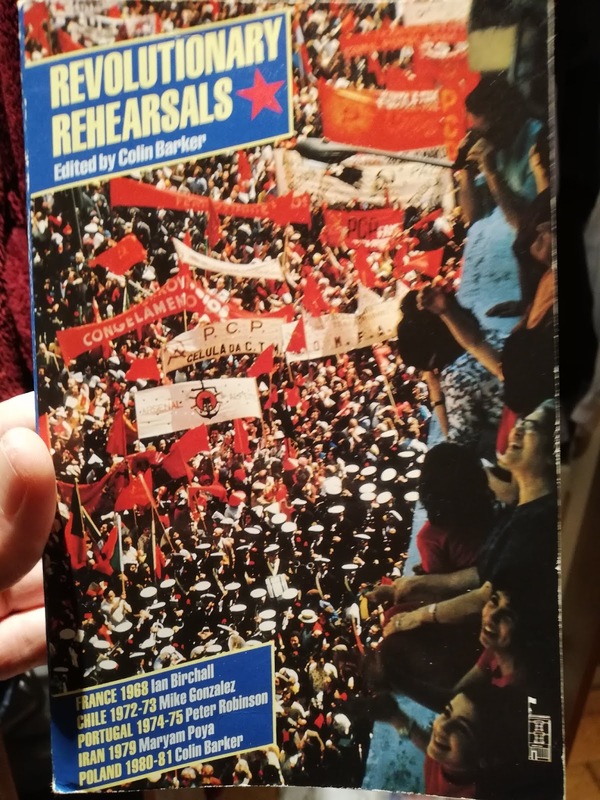 The events discussed in these pages point up the key task for socialists: the development of an international revolutionary current, rooted in the everyday struggles of the working class. Its absence was crucial to these defeats. The central task of socialists is to develop everywhere revolutionary parties genuinely capable of giving leadership to workers' and other struggles. It would be foolish to suppose that the building of such parties will be easy, for there are no magic formulae. Modesty and realism are vital. Nothing is more useless than revolutionary posturing, the substitution of impressive slogans for the real work of organising, recruiting and developing what will initially be small groups of committed revolutionary socialists. There is a bourgeois caricature of revolutionaries as burning-eyed and impatient idealists. 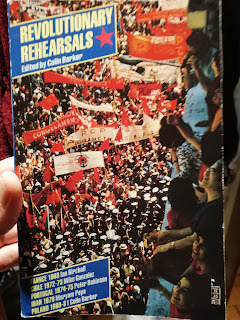 In reality, genuine revolutionary socialist politics has to be founded on a profound patience, a willingness to see success in the sale of a handful of newspapers, an argument won, a single recruit to Marxism made, a tiny branch founded in a great city, a contact established somewhere new. Lenin's slogan for the Bolshevik Party, in the middle of the 1917 revolution, was not a high-sounding rhetorical balloon, but something immensely more modest, down to earth and therefore effective: ''Patiently explain''. Just seen the VERY sad news about Colin. It was thanks to him that I got a bit of experience (well, a few relatively quiet mornings, but interesting, given that there were strikers and scabs drawn from every ‘community') on the picket line at Roberts Arundel [in Stockport, a dispute lasting from 1966-1968]. Basically, I had needed to spend a week (?) in Manchester Central Library, and had rung Colin up to ask to sleep on his kitchen floor. He instantly said “Yes, of course — perhaps even a bed — on condition that you come to the picket every morning”: an un-refusable offer! One joke going the rounds was that, only some days earlier, one “white" striker had asked one Indo-Pakistani striker: why don’t you shout to them (the scabs) some of what we used to say to you? Instant shout: “You dirty black bastards! Why don’t you go back where you came from? !” Colin could not do the accent properly either. But he was also a very cool analytical head. No wonder he had co-authored with Cliff the International Socialists’ late-60s pamphlet Incomes policy, legislation and shop stewards: really our first distinct offer to CP-oriented militants. Sold well in Fulham and Hammersmith too.